Millions of kids dream of going into space. 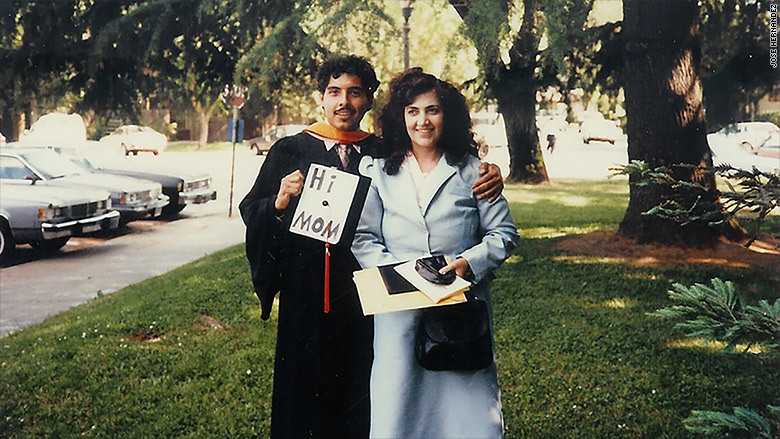 But Jose Hernandez made that dream a reality -- and he did so against incredible odds. As the son of Mexican migrant farm workers, his education was constantly interrupted as his family followed the changing crops. Often, they would spend December through February in Mexico. Hernandez and his siblings would home school themselves with assignments from their American teachers during those months. But with all of the constant interruptions, Hernandez didn't become fluent in English until he was 12. 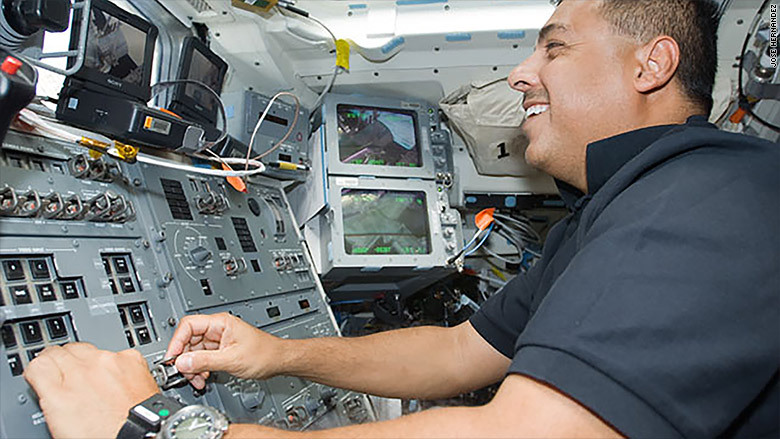 But through perseverance, Hernandez managed to earn a Master's degree in electrical and computer engineering from the University of California, Santa Barbara and attain his goal of becoming an astronaut. Not only has he traveled into space as the mission specialist to the International Space Station, but he now runs his own foundation, Reaching for the Stars. The group aims to get youth in central California interested in STEM (science, technology, engineering and math) fields and provides first-generation high school seniors with scholarships. 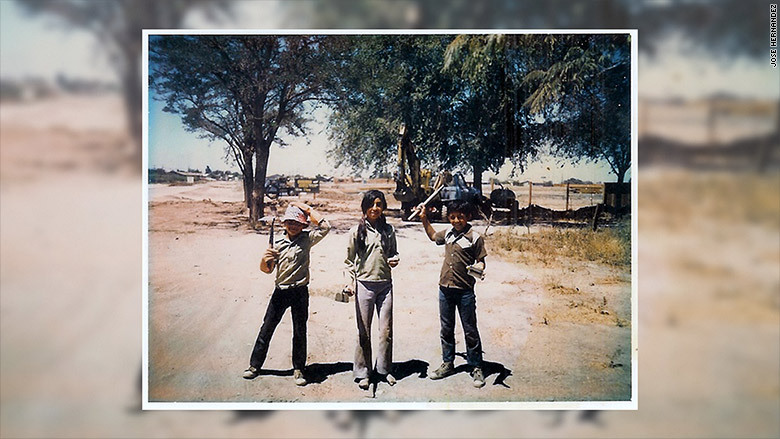 My childhood was typical of a migrant farm working family, a family that spends nine months out of the year picking fruits and vegetables from Southern California to Northern California. While others looked forward to summer vacation, I hated it. Summer vacation meant working seven days a week in the fields. 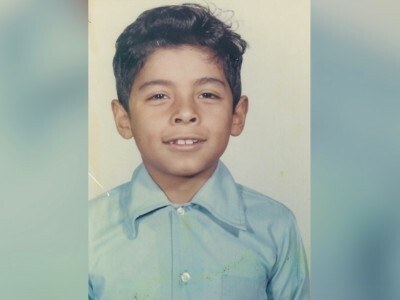 Jose Hernandez at age 7. I had it easier than the rest of my brothers and sisters. I had three older siblings to help me with my schoolwork. My mom would sit us down at the kitchen table and we wouldn't be allowed to leave until we finished our homework. She motivated all of us by having confidence and high expectations. It wasn't if we went to college, it was when. Life was rough, but we didn't know it. It was just what we were used to. But then as a teenager I was embarrassed because we lived in the barrio. We lived in areas that were run down because those were the areas where we could afford to live. My bi-cultural upbringing made me feel out of place -- not American enough, but not Mexican enough, either. My parents love, support and high expectations helped me to find my path to success. It could have been a different story. I used to hang out with four guys in the neighborhood. Out of those four, one committed suicide, another overdosed on drugs and the other one, I last saw him just a little while ago, he was out on the streets. 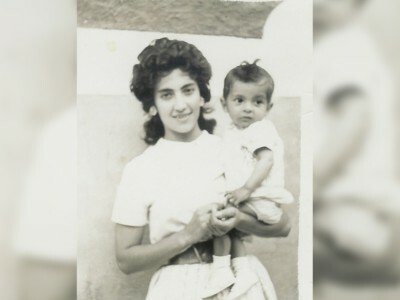 Jose and his mother, Julia. I remember one day, after picking cucumbers, me and my siblings were tired, hot, sweaty, dusty and stinking. No matter how hard we studied, however, our life moving from place to place wasn't conducive to a good education. My second grade teacher, frustrated by the constant interruptions, made a special home visit to convince my parents that this lifestyle was hurting us kids. The next year, things changed. We all moved to Stockton, California, year round, visiting Mexico only during Christmas vacations. This stability really helped me. I started speaking English better and was able to focus on learning. Jose (in the hat) with his sister, Leticia, and brother, Gilberto. When did your interest in space begin? I began dreaming of going into space after watching the Apollo 17 moon landing when I was 10. That was the last mission to the moon. I'm so glad I saw it! I'd go outside and look at the moon and come back in to see them walking on the surface of it on TV. That night I shared my dream with my dad. Instead of bursting my bubble, he gave me a recipe for success: Decide what you want to do in life. Recognize how far you are from your goal. Draw a road map from where you are to where you want to go. Get your education and make an effort. 'Always do more than people expect, m'hijo,' he said. Immigrants: These cities want you! Jose Hernandez graduating from University of the Pacific. He went on to earn a Masters degree from U.C. Santa Barabara. Is there anything else that contributed to your success? My wife played a huge part in helping me to persevere. I was rejected from NASA's astronaut program eleven times. People get rejected twice, on average, before they're picked. The sixth year that NASA rejected me, I crumpled up the rejection letter and threw it on the bedroom floor. I was going to quit trying, but she talked me out of it. 'Let NASA be the one to disqualify you, don't disqualify yourself,' she told me. I was rejected eleven times. It wasn't until the twelfth time that I was selected. I was 41 when I became an astronaut. 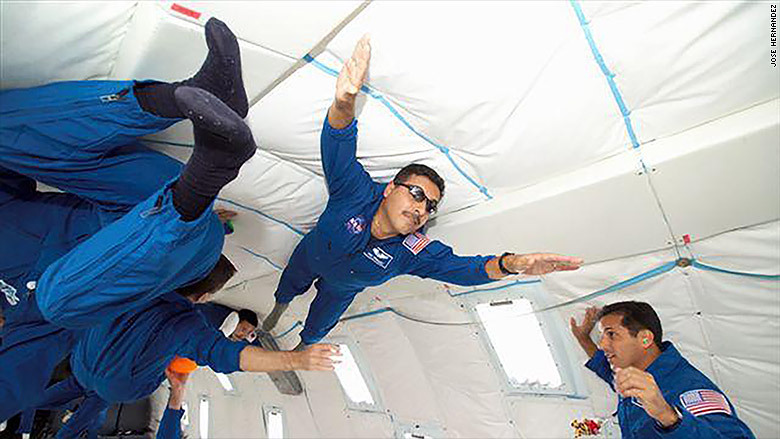 The average age of new astronauts is 34. 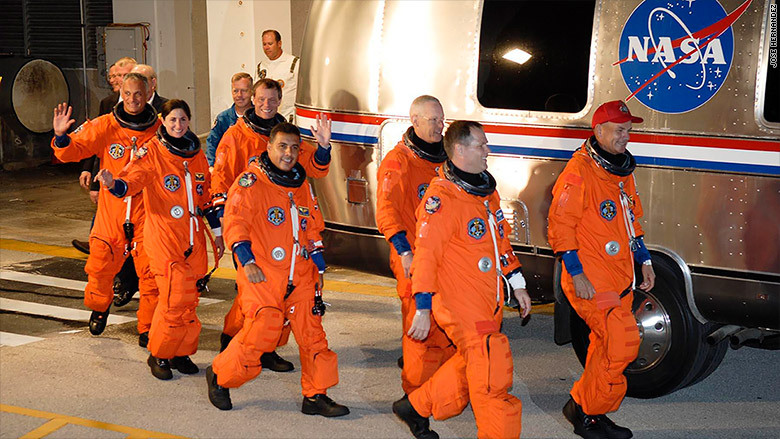 Hernandez and the rest of the crew of the STS-128 mission to the International Space Center. What was going through your mind in the moments before you blasted off into space? In 2009, I was part of a 14-day mission to finish construction of the International Space Station. Before launch, astronauts have hours aboard the shuttle for checks and reflection. I was looking at the American flag on my shoulder remembering that I was picking fruits in the field as a kid and now I'm about to blast off into space in the most complex piece of equipment we have representing America. 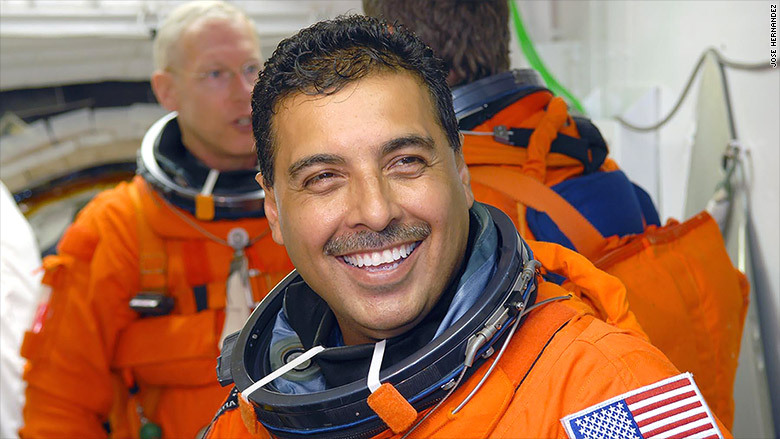 Hernandez was Mission Specialist on STS-128. How have role models influenced you? As a senior in high school I first heard about Franklin Chang Diaz, the first Hispanic astronaut. It was then that my childhood dream started to come into focus. Seeing someone who looked and sounded like me succeed pushed me to reach my goal. He [Diaz] spoke with an accent, had brown skin and came from humble beginnings like me. I spoke broken English until I was 12 years old. Now I want to inspire the next generation through my foundation in central California. We invite companies like Google (GOOG) to help spark the interests of 5th graders. There's a science academy for 7th through 12th graders to help expose kids to math and tutor them. We also give scholarships to first-generation seniors. He defied the odds, then defied gravity. I ran for Congress in 2012 but I lost in a close race. Now I'm thinking about making a comeback, maybe in 2018. Looking at candidates like Donald Trump, it motivates you, so don't rule me out politically. Enough is enough.